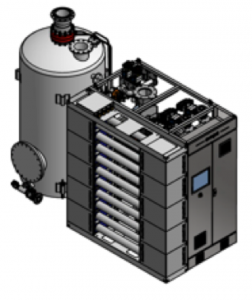 Ballast water treatment system to safely and reliably comply with IMO and USCG regulations. 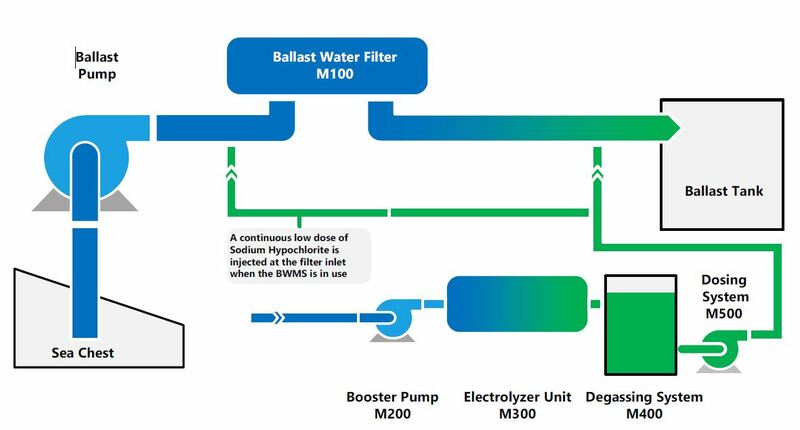 The SeaCURE® Ballast Water Management System uses a combination of filtration followed by in-situ production of biocide from seawater via electrochlorination. The SeaCURE system has evolved from the Chloropac® marine growth prevention system (MGPS) that has been servicing needs of the maritime and off-shore Oil & Gas industries for over 40 years. The system uses about 1% of the ballast water flow to generate sodium hypochlorite for the treatment of ballast water.